I have mentioned on my previous posts that I always fly Cebupac even if the flight is always delayed, not until this day. I have been cancelling a flight two days prior from the departure date and every time I clicked the confirm button it just loads forever and is not continuing to the next page. So I thought that maybe the problem is in the browser because I’m using IE, so I tried using Google Chrome, but still the same. When I went home from the office, I also tried it using Safari on my phone and just the same it loads forever. I tried and tried until the day of the flight. At 1:57 PM, 4 hours before the flight, I called their customer hotline. The CSR said that maybe the problem is on the browser so I enumerated him the browsers I’ve used. After that, he’s putting the blame on my internet speed. Hello? Didn’t he know that Singapore is one of the country that has a fast internet speed? I almost laughed. But because he asked a lot of questions first, it was now past 2 PM and the 4 hour before the flight cancellation period has lapsed. Then he told me to wait for 2-3 mins., as it was 2:07 PM and the flight was 6 PM, he’ll need to ask approval from his boss first. As usual, 2-3 mins. from PH is equivalent to 20-30 mins. and because I am on a prepaid my call was cut. They did not even bother to return my long distance call, the nerve! Never again will I and my whole family be booking a flight from Cebu Pacific, this I swear. 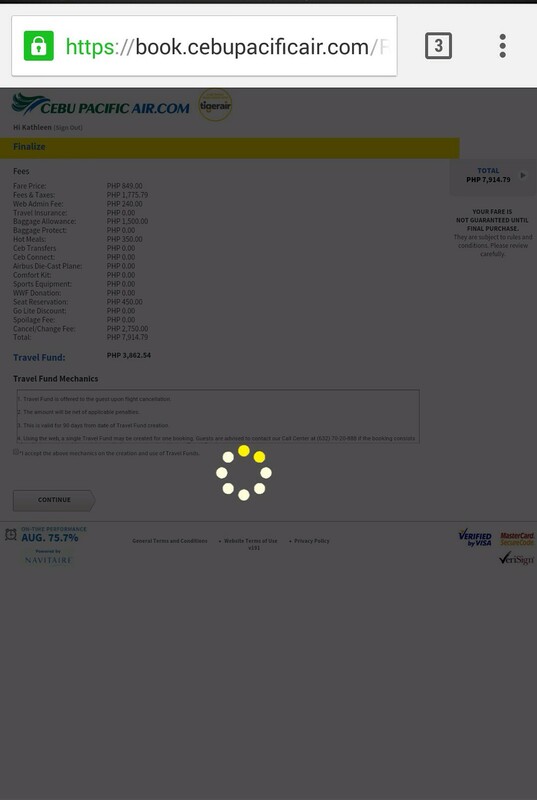 A screenshot of Cebu Pacific’s website when trying to cancel a flight. I went home in the Philippines last week to take care of some things and because I am already there, I planned to take on a food trip. 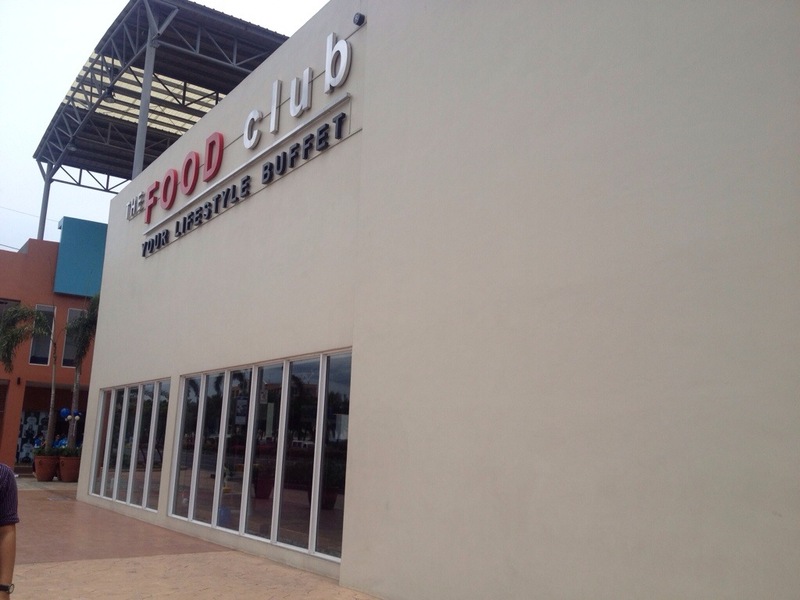 I asked my awesome friend to treat me at The Food Club, which I wanted to try since April but havent had the chance to do so. Located at Bldg. E Bluebaywalk, President Diosdado Macapagal cor. EDSA, Pasay City, it is a new eat-all-you-can buffet in town. Last July we decided to have an overnight stay at Johor Bahru in Malaysia. Since we are staying at Singapore now, it only took us less than an hour to get there but an hour to pass through the immigration. I had a bad experience going to Johor Bahru last time when I went to KLCC with my friend and wasn’t given the chance to explore the city so I thought that this would be it. I was happy to see restaurants not available in Singapore. LOL. Yeah! Basically we just went “malling” for a while and then decided to spend the whole time at the hotel because I am so tired and wanted to rest. We stayed at Amansari Hotel City Centre located at Jalan Wong Ah Fook, Bandar Johor Bahru, 80000 Johor Bahru, Johor, Malaysia. My companion were the ones who looked and booked for our hotel because if I will be doing it, it will take forever. Haha.